How come nobody ever sees Miranda Ogilvy, except the blind neighbor who wants her and the hired henchman who wants her dead? 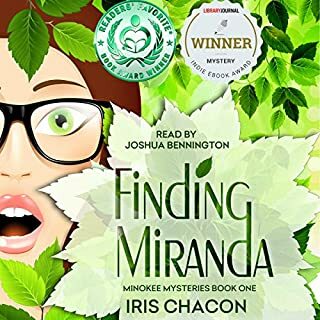 Murder, political corruption, quirky small-town neighbors, and Dave the Wonder Dog work together to make this mystery fun, romantic, full of surprises, and warmly satisfying. Joshua Bennington's unforgettable narration brings the amazing characters to vivid life. The audio book was entertaining and cute. I loved this narration because the narrator gave the characters a distinctive personality. Loved the audio book and recommend it highly !! In this exciting book, Kevin shares the adventures of an American hunter whose roots include a family tradition of harvesting wild game to put food on the table. 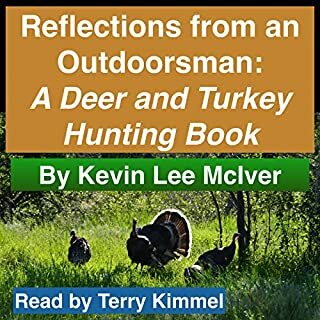 Through a collection of short stories focusing on deer and turkey hunting, listeners follow Kevin's younger days as a fledgling hunter, through many years of hunting game where he shares many grand adventures, tips and tactics in hope that it inspires others to venture out into the great outdoors. Where does Reflections from an Outdoorsman rank among all the audiobooks you’ve listened to so far? It was alright, not great but informative. I could have listened much longer to the tales of hid childhood. It was an interesting book about hunting and how the author got into the sport. There was a lot of information about what gun to buy and how to hunt deer I did not know. Good book for the beginner. 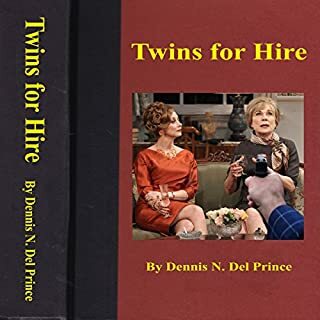 Twins for Hire is a novella that narrates the adventure of two men who are hired to find a family member before the reading of his father's will. The task becomes far more complex than what they were hired to do, as they become involved in a high-stakes game where the murder of most of the family is planned. What did you like best about Twins for Hire? What did you like least? It was well written and it was short. Would you be willing to try another book from Dennis N. Del Prince? Why or why not? Yes, I would like to hear additional audio books. Good short story, I did not give it higher marks because it was short. Stella and Fang must blood-bond (fuse each other's blood together by biting each other's necks at the same time), but Stella is not ready to put the clan in more danger so she holds off on the blood-bond. 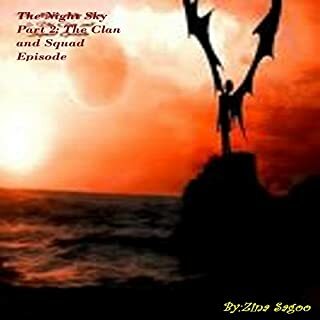 Meanwhile the Squad encounters a big shock: Moon is alive and Luc has returned from the grave for vengeance or a new life...and a mysterious boy named Ryan comes along and tries to break Stella and Fang's bond. Will Fang try to keep his bond with Stella, or will it end for them both and will Ryan be her mate? Strange characters of the night ! It was not an adult book, since it lacks reason and reality I am not sure who might enjoy it. What three words best describe Joshua Bennington’s voice? I am not sure but it could appeal to children. but it was certainly not for adults. This audiobook is a delightful light-hearted tale about boating. 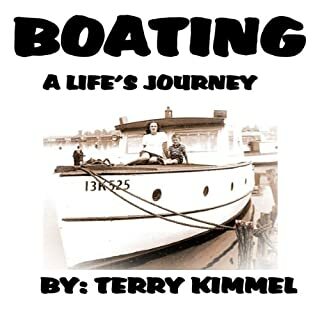 It is the memoir of a lifelong boater, written from the perspective of a person who has not made a living at sea but is just there because he enjoys being on the water. The audiobook has stories about his pets on board and about the people he meets traveling the Atlantic Intracoastal Waterway (ICW) to the Gulf Intracoastal Waterways (GIWW). He traveled extensively for 10 years in a Grand Banks trawler. This journey has been just part of his lifelong boating adventures seeking that elusive boating paradise. Would you consider the audio edition of Boating: A Life's Journey to be better than the print version? Both are good but the printed version has photo's, for me that was a plus. What was one of the most memorable moments of Boating: A Life's Journey? I have listened to one of his other books and he was better.but it was two years later. Yes, I want to go boating !!!!! Good book to read for any boater or water orientated person. Wedding day arrives for Lieutenant Banks, and the whole gang is enjoying themselves. Jason is the lone detective on duty, and before the night is over, he must leave the celebration. The scene he finds himself at is the opposite of where he just came from. A cold-blooded murder without any apparent motive, and very little in the way of evidence. Just a group of friends who can't understand why one of their own is suddenly gone. Was it a remarkable stroke of fate, or destiny which brought John Jacobson and his son together? His son was brought up in a household of hate and mistrust. He left home at an early age to try and seek out some sort of happiness in New York City. During this time, his real father, a truck driver, was unaware of his son's existence. What forces were in play to give his son the idea of leaving New York and heading to Florida? This story is an example of human stamina, integrity, and love beyond our understanding. 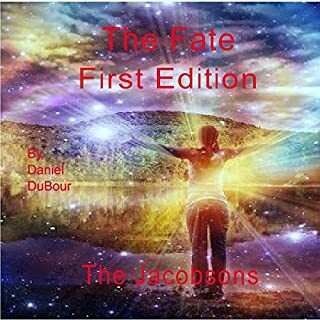 What made the experience of listening to The Fate, First Edition: The Jacobsons the most enjoyable? Listening to the book was very gripping. It takes the reader up and down in a young man life. I was happy he found his father but I was saddened when he died! The book has a lot of emotion and brings out many deep feeling about life. Joshua Bennington did a magnificent job narrating this book From the different voices to the emotion in the telling of the tale. It was hard to put the book down because I kept wanting to find out what was going to happen. I gave the book a lower rating only because of the last two chapters. The rest of the book was excellent but it got lost at the end. I still would recommend it,, and I may listen to it again. Kilix has vanished off the face of the earth. Loren feels responsible for his disappearance and has spent the last nine months searching for him. Just as Loren's about to give up the hunt for Kilix, a tip comes in that leads her halfway across the globe. To Loren's surprise, she's not the only one on the hunt for Kilix. To Loren's surprise, finding Kilix was only half the battle. What did you love best about Taken? WOW...the story takes off as Loren search's for Kilix. She travels the world to find him and bring him home. The story is the continuation of the first book. It was less about Kilix and more about Loren and her search for Kilix. But what I liked best was the personality of the new character Peter. Peter, the arch villain. What a character! He steals the show. The author has given him the roll of the bad guy and the narrator has given him life. Peter is cocky with a British accent. This second book is as good as the first, and may be better. It gets a little wild at the end but it certainly keep my attention. 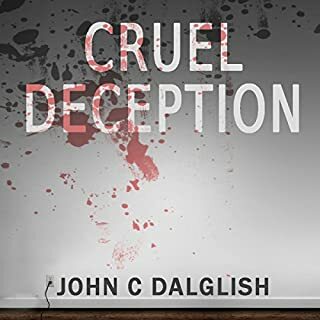 I would recommend both books and I will be reading the third book next..
Would you consider the audio edition of Cruel Deception to be better than the print version? The audio book was better than the printed book because the author gave the story line but the narrator brought the characters to life. All audio books give the story line more dimension and depth. The author kept the killer veiled to the end. This makes the story much more of a mystery for the reader. I liked that! Joshua Bennington has a captivating voice. He gave each character in the audio book a distinct and interesting voice. That's the kind of reader I enjoy hearing. The murders were a little gross but I guess the author needed that to show what a bad guy the killer was and the killings were in the end useless. 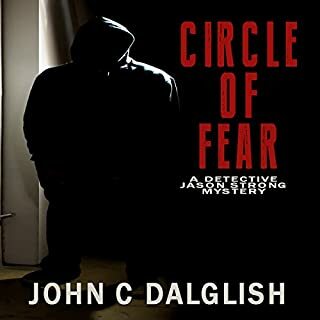 I have liked all of John Dalglish's detective Strong books and I particularly liked this new narrator. I hope to hear more books by him!! The rise of the Artificial Intelligence in 2055, known as The Lost Year, resulted in massive casualties on a global scale. Planes crashed, elevators malfunctioned, missiles launched and brought the human race to its knees. Humanity was able to stop the A.I. after a year of tragedy and devastation and has been rebuilding ever since. 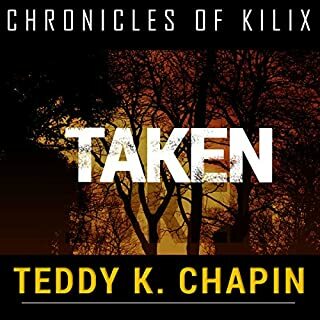 Where does Chronicles of Kilix rank among all the audiobooks you’ve listened to so far? 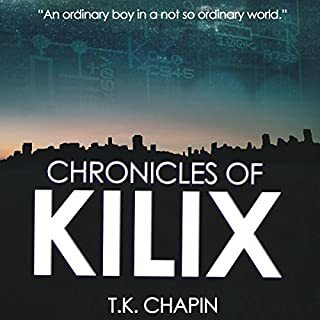 The Chronicals of Kilix is like most coming of age stories but in this story the two main characters are a 15 year old boy and a 16 year old girl dealing with the future over through of man kind by artificial intelligence computers. What was one of the most memorable moments of Chronicles of Kilix? What I thought was most amusing was when Kilix took the "glider" out for a glide and destroyed it. It kinda reminded me of the first time I borrowed the family's car, only to bring it back with a little damage. Joshua Bennington did a fabulous job with the voices of Kilix and Loren. He gave them a personality that went beyond the printed word. I enjoyed the book more because the voices and narration were so excellent. The competition between the boys. The author wants us to believe that that drive will never stop, even in the future. A really first rate book for both kids and adults.